After twenty one years, Islam Awareness Week is still going strong and proved to be a great success all over the country, once again. Ably led by Hifsa Haroon-Iqbal, ISB members were mobilised and enthused and we saw some exciting activities being organised in new areas of the country too. 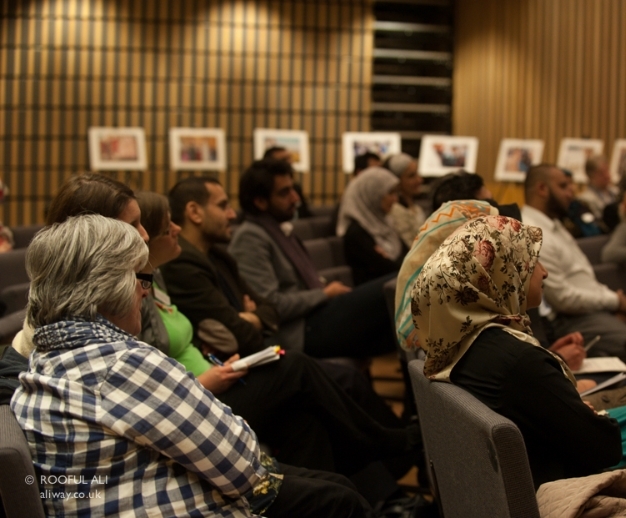 From the conferences and workshops in Norwich to the exhibition and mosque open days in Maidenhead; from the T With Me in Glasgow to the feeding the homeless across the country, ISB members and supporters worked hard to raise awareness, remove misconceptions and make new and lasting partnerships and friendships. 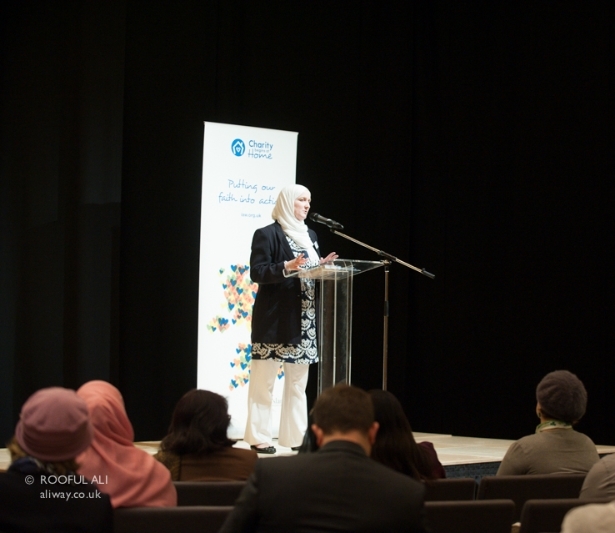 Inspire FM in Luton ran a week long series of programmes highlighting the ‘Charity Begins At Home’ theme by liaising with local charities and highlighting the need for Muslims to interact and get involved on their doorstep. Sahira Dar, one of the team from Glasgow was interviewed live on air from their Gala Dinner on the Friday evening and she spoke about how the event had received a lot of hype since last year’s successful event and tickets had sold out! That followed a high profile launch in Glasgow’s Emirates Stadium which included guests from the sporting world linked to the forthcoming Commonwealth Games. The launch in London was held in a new Jewish Community Centre, JW3 and saw guests from all faiths attending, listening to the speeches and sharing lunch together. One of the guests, Remona Aly, wrote a nice piece about the event for the OnIslam website and you can read that here and photos from the day can be found here As always, ISB worked in partnership and we raised awareness through the week of fantastic work that is already taking place and being led by Muslims up and down the country. A new brochure was produced highlighting some of that work. All in all a great success. Well done to everyone involved and here’s to another twenty one years and more! 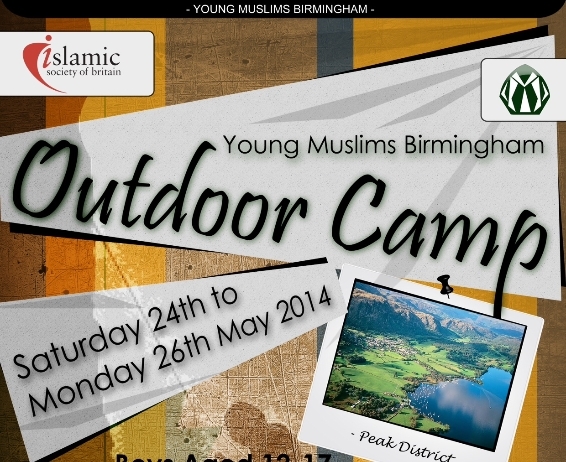 This camp has been organised for 12-17 yr olds from Birmingham in order to instil in our Muslim youth love for the practice of Islam and for our beloved Prophet Muhammad (peace be upon him); and to inspire within them renewed commitment and faith. It will consist of talks, workshops, and quiam-ul-layl, together with team games, country walks and outdoor pursuits. The whole programme is designed to present Islam in a fun way that will, insha’Allah, leave a permanent impression. Purchase your tickets here. 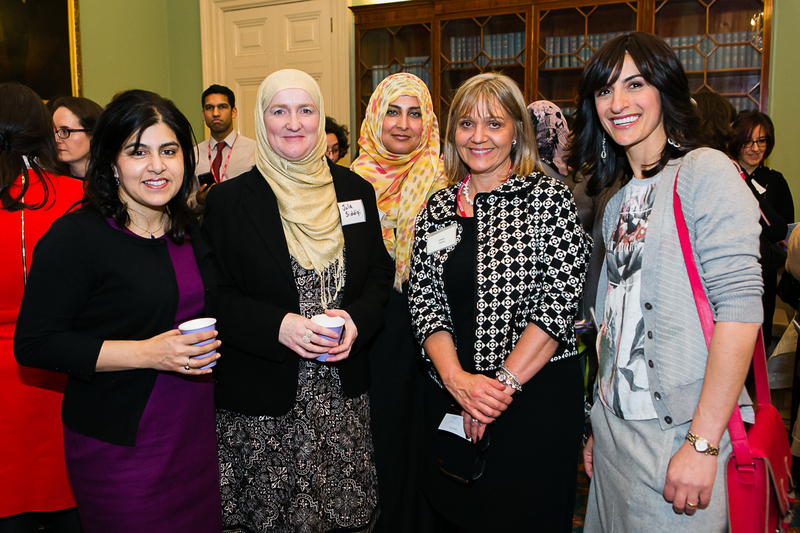 Working in partnership with Mitzvah Day, the ISB worked with Baroness Sayeda Warsi’s office to put on a unique event at the Foreign and Commonwealth Office for International Women’s Day. 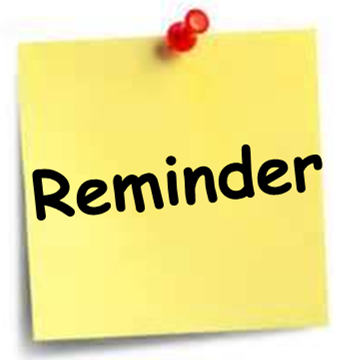 Annual Members‘ Meeting and Election will be taking place on Saturday 7th June 2014. The venue will be confirmed very soon. Need inspiration for LIFe 2014? Watch this short video, an Eid festival like no other. A dedicated 0-5 yrs PlayZone will keep your little ones entertained. The parallel scouts programmes for older children and special teenager programmes will excite and inspire. We cater for over 1,000 children with over 50 different workshops going on in parallel – the education and enjoyment is fulfilling and there is nothing like it anywhere else. You and those you are with can listen to and learn from some of the leading minds in traditional learning and contemporary thought. With keynote speeches in our iconic Big Top and over 30 specialist seminars in the world class EPIC Centre. With thought provoking workshops and ‘up close’ opportunities for the questions important to you, the hardest decision for you will be which ones to give a miss. Held in 205 acres of open grounds at the Lincolnshire Showground, the surroundings of the Living Islam Festival are serene, tranquil and green…much needed calm in a busy world. Despite the many people there, you will enjoy a feeling of space. You won’t be squashed into a jam-packed conference hall like sardines in a tin! Be part of this collective remembrance of God, of His Names and His countless favours. His blessed Messenger. For when people come together to remember God, then God, by way of return, remembers those individuals in a heavenly meeting with angels. Friday prayers offered in the clean fresh air and under the blue country sky with over 6,000 devotees. Prayers before the break of dawn and prayers beneath the stars. Praying for one another and praying with one another. The Living Islam Festival will, insha’Allah, strengthen your faith, your hope, your confidence and your will. But you’ve got to be there. Something wonderful happens at the Living Islam Festival, something that lives on after the event. This event moves people to change for the better. Hundreds have told us how it moved them…how about you? Arts and Crafts for you to learn and enjoy. There will be creative workshops and taster learning sessions by expert artists for those who have always wanted to try something new. Alternatively there are many sports activities organised for all ages, men and women: a parachute display, bungee jumping, bouncy castles, horse riding, paintballing, abseiling and archery are all currently planned, to name but a few. In the evenings you can relax to our light entertainment with nasheed artists, comedians and a variety of acts from around the world. The Living Islam Festival is the largest residential Muslim family event in Britain. Held every 2 to 3 years, it is a rare opportunity to have a unique experience. The next festival is not until the summer of 2016… so don’t wait until then! An Eid event like never before, a summer celebration and festival of spirituality and family fun. With a special bazaar and a feeling of brotherly and sisterly love, who would want to be anywhere else? Book your tickets today www.livingislam.org.uk/book. Prices will go up every month. Your journey for an uplifting and memorable family holiday camp experience in the heart of the English countryside begins here.